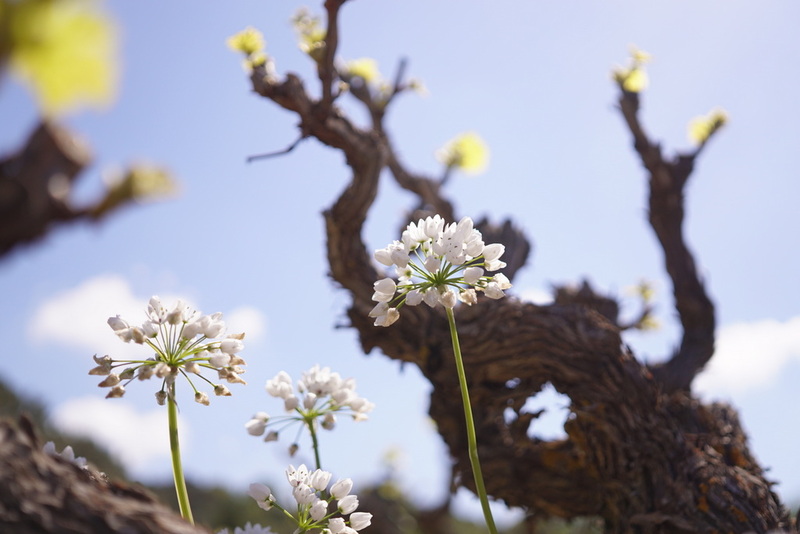 Biodiversity in viticultural environments has been revealed to be an intrinsic part of maintaining landscape diversity and a source of inspiration for the world of wine. Today, with heightened understanding, at a technical-scientific level of the ecosystem, the characteristics of the land and the viticultural practices, proper stewardship of nature helps us to obtain a healthier environment and as a result, a healthier and balanced winemaking. At a recent event supporting Biodiversity in the Vineyards reported upon by Civilta del Bere, president of Le Donne della Vite and collaborators pointed to a fundamental notion, that we share here at Evoinos, that “it’s our duty is to protect Biodiversity to deliver it to future generations in better conditions than we found it”. It is only fitting therefore that there should be a promotion of biodiversity and sustainability as part of a value system to sustain a viticulture that is beneficial to the environment, for a better fruit, but also for making a better wine. In essence, the microbial biodiversity of the vine is immensely greater than it was imagined only a few years ago. And it seems to have a very broad value in the functions of the ecosystem. Agronomic practices that respect the ecosystem and the vineyard system can contribute to its balance and enhancement “We need to redesign the vineyards by inserting elements of biodiversity, considering that some species that are antagonistic to other plants can also be on the vine”, explained Carlo Duso, president of the degree course in viticulture at the University of Padua. Through the analysis of reference microbial groups with similar characteristics (clusters) we were able to verify the most similar and characteristic vineyards of certain areas or terroirs. But also how the different management affects biodiversity, determining a greater and lesser resilience of the environment in case of need “, explained Andrea Squartini, of the Department of agronomy, food, animals, natural resources and environment Dafnae. This is also the intention behind the initiative in Kannaviou, a possibility to scratch the surface of how unique terroirs in Cyprus can really be. From the microbiome to the microbiota of the vine. “The vine is home to numerous microorganisms. Some are responsible for diseases, many contribute to defending plants, while others are strategic for winemaking, “said Ilaria Pertot, professor at the University of Trento and the Edmund Mach Foundation. «From the characterization of the microbiota of the vine we hypothesize new opportunities for a more effective microbial bio-control can open up. And to promote the growth of pathogen antagonists “. Balance is all, conscientious application of treatments must be done so with full understanding of the opportunities for Bio-control in the vineyards. Taking into account the vineyard microbiome, typicality and soil quality expressed by specific microbial communities. Evoinos has partnered with Kannaviou winery Ezousa to study 4 vineyards, linked to 4 different vine varieties of grapes, to deepen the understanding of their biodiversity, and in relation to their growing stages during different seasons. Technical support of the project is provided by BiomeMakers, inc. and their proprietary platform Wineseq bringing advanced DNA sequencing methods to enable winemakers to identify, quantify and compare all microorganisms that are at work in their soil, grapes and wines. This study is conducted with oversight from Demetris Tsaltas of the Department of Agricultural Sciences, Biotechnology and Food Science, at the Cyprus University of Technology and hopefully sets a benchmark for an increased appreciation of the diversity of characteristics of the Cypriot Vineyard and their corresponding Microbiome profile. From soil to wine, a new light for oenology. The diversity of microorganisms that are in the soil and on the vine determine both the grapes’ health and the microorganisms that will be introduced in the winery to influence the fermentation processes and wine maturation. Knowing more about the microbiological conditions of the vineyard allows the winegrower to think about the types of chemical treatments and their impact that will condition winemaking in the winery. (Ignacio Belda) The added knowledge can make now use of valued information especially when considering new trends in winemaking for organic, low sulphur wines or special varietal wines. The pursuit of higher value winemaking indeed is not a race, nor a beauty pageant, it’s but a contest for differentiation where everyone strikes gold. The soil microbiome is the reservoir of the grapevine associated microbiota, and it’s today a definitive contributor to the final sensory properties of wines. “To understand the crucial roles of microorganisms on the entire wine making process, we must understand their ecological niches, population dynamics, and relationships between ‘microbiome- vine health’ and ‘microbiome-wine metabolome.’ These are critical steps for designing precision enology practices but also in establishing a correlation between microbial communities and the links in the soil environment to wine terroir, so as to provide more meaningful ways of appreciating differences in wines from different regions in Cyprus. Precision enology practices is where we have been headed, yet the technology has to be applied at the very essence of maintaining biodiversity balance in vineyard soils. Today it is not only possible to decipher soils and the microorganism which contribute to how wines are the way they are, but there is also an open science, where data access can be made readily available not in silos but in open platforms at the fingertips of winegrowers and winemakers alike, providing information where value added decision making can happen, at the source and where Biodiversity counts. Pictured: DNA-based fungal diseases test. Evaluation of fungal species present in vineyard soils carried out on 4 plots in Kannaviou.